Blood on Silk is a collaborative project between the late Dr Peter Domachuk, Dr Lee Anne Hall and Fiona Davies. 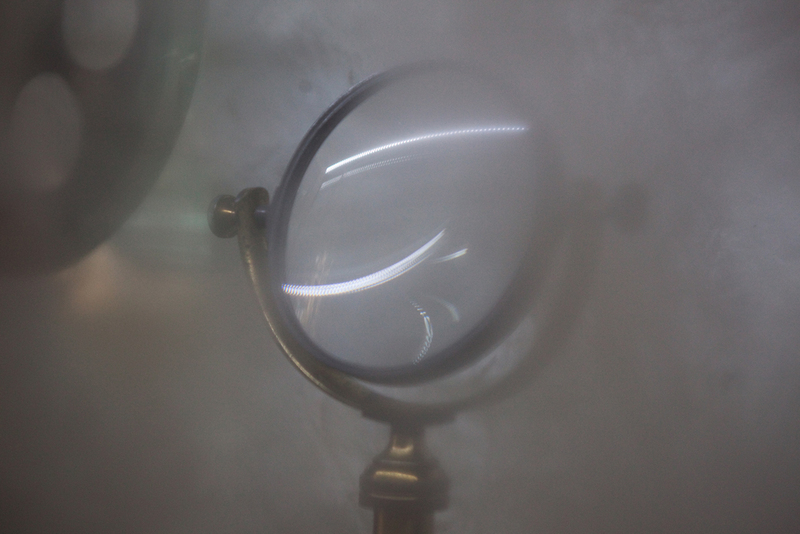 This collaboration arose from an accidental intersection while Fiona was developing an installation in the foyer of the School of Physics at the University of Sydney Australia in September – October 2010. That work was titled Memorial / Double Pump Laplace II, and was the second in a series of three, site specific installations, loosely based on narratives of the dying and death of Fiona’s father, in 2001. During the four and a half months her father spent in intensive care the daily routine taking of blood samples became part of the pattern of the day. The late Dr. Peter Domachuk’s research project adds new layers through the study of silk implantable microchips to allow real time measurement of the properties of blood while that blood is still circulating within the body. These silk microchips are refined, transparent and dissolvable therefore disposable, a biophotonic chip. Dr. Lee-Anne Hall a creative writer and museum studies expert also added layers of interpretation to the collaboration. – The materiality of the refined silk / fibrion It’s characteristics – transparent, castable or mouldable, conformable to flat or patterned surfaces, cast or spin coat; water content and method of drying drives dissolvability and disposability. – The concepts of liveness of internal feedback , reading the body in real time; the possibility of self monitoring; instead of the sample being removed from the body to be read, it remains part of the body. The testing process is internalised rather than an external process. – The medical ethics debate and the cost of health care. – The relationship between humans and other animals. There are reports of an animal rights movement that disapproves of the death of silkworms in the process of obtaining silk. It is possible to get silk from what is called pierced cocoons, ones that the moth has left naturally. Prior to commercial use the testing of implantable chips in animals/humans? – Human rights through other uses of implantable chips; issues of surveillance or monitoring.